Reince Priebus replaced as chief of staff by John Kelly in cinematic fashion. On Friday, President Donald Trump announced on Twitter that White House chief of staff Reince Priebus would be replaced by Homeland Security Secretary John Kelly. AF1 was wheels down at Joint Base Andrews at 442PM?? under light rain and somewhat behind the official schedule. It was the mid-size AF1 757 version. Most staff was off before we moved into position but Reince Priebus and Steven Miller and Dan Scavino loaded into one suburban then moments later Miller and Scavino got out and loaded another van. As word spread about Priebus’ dismissal, some reporters got up close to Priebus’ car, taking cell photos and such. Priebus’ car then pulled aside, out of the POTUS motorcade. Priebus car and a follow up departed at 458PM. While they have publicly maintained that there is no bad blood between them, Scaramucci and Priebus have been feuding for months. After the election, Trump asked Scaramucci to join his Administration, and Scaramucci sold his company, SkyBridge Capital, in anticipation of taking on a senior role. 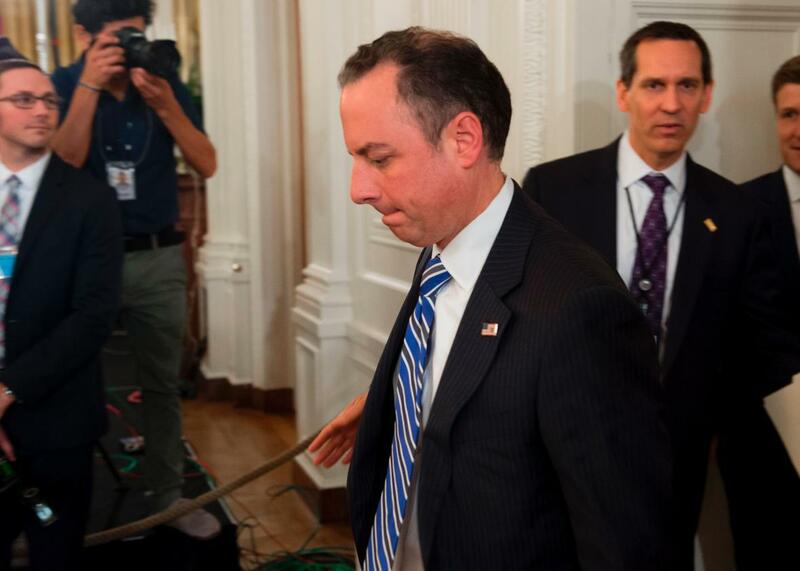 But Priebus didn’t want him in the White House, and successfully blocked him from being appointed to a job until last week, when Trump offered him the communications job over Priebus’s vehement objections. In response to Scaramucci’s appointment, Sean Spicer, an ally of Priebus’s, resigned his position as press secretary.